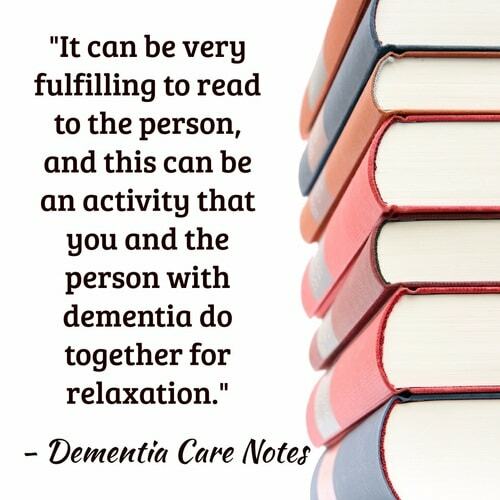 Activities are crucial for people living with Alzheimer’s disease or dementia, offering benefits such as cognitive stimulation, the opportunity to connect with others, comfort and relaxation, and more. Plus, physical activities and exercises are important for maintaining physical strength and balance, plus physical exercise is great for the mind, too. 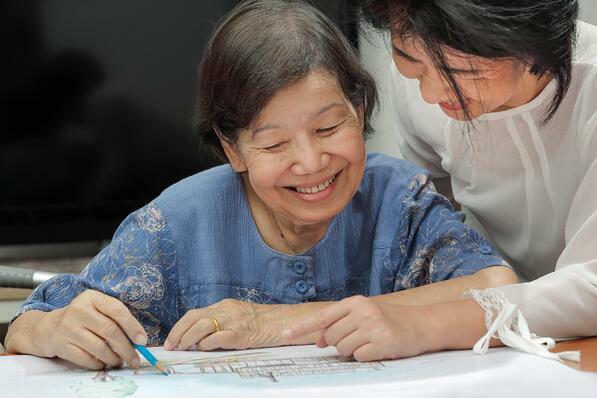 If you’re caring for a loved one with Alzheimer’s disease, you may sometimes struggle to identify activities that are within your loved one’s capabilities and provide appropriate cognitive stimulation without adding unnecessary stress. 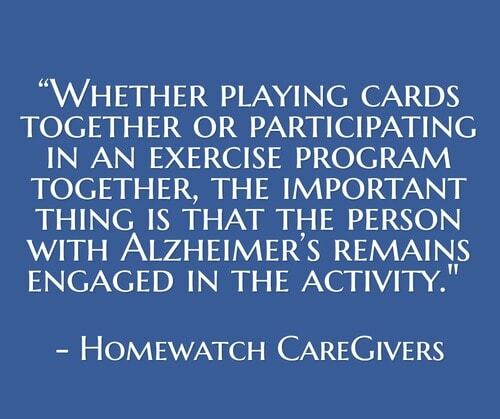 That’s why we’ve compiled this list of stimulating activities caregivers can use with loved ones with Alzheimer’s disease, along with some general guidelines for identifying appropriate activities and ensuring that your loved one is able to participate and engage. 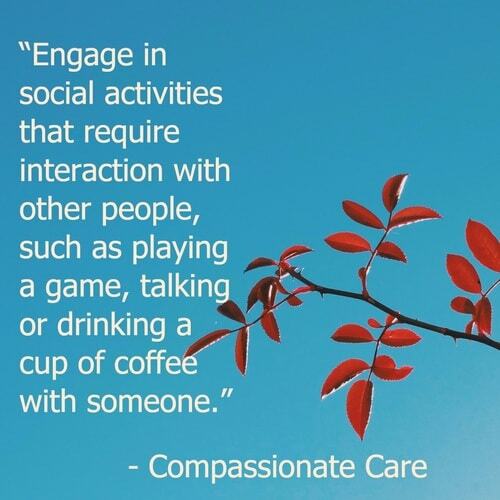 While many of the activities discussed below refer to activities that can be planned in assisted living communities and nursing homes, they’re also easy for caregivers to incorporate in the home setting. Establish consistent routines. 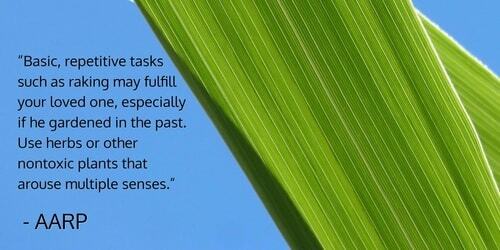 “There is so much that we all do on a daily basis without thinking because it is part of our regular routine. It is as if we are on autopilot whilst going about our daily business: getting washed and dressed, food preparation, cleaning, exercising, getting around our house and local environment and even driving. I'm often amazed that I can daydream whilst in the car and don't seem to notice how I've got from A to B! Be mindful of the individual’s needs. 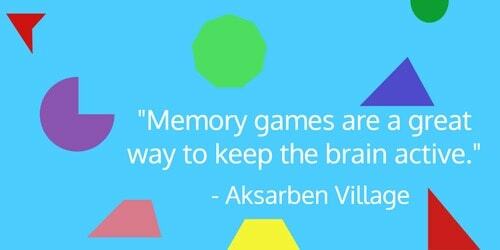 “Games for people with Alzheimer’s disease should work on several levels. A board game with a colorful playing surface and objects that can be handled (cards, dice, etc.) is better than a game that does not contain these features; the more sensory stimulation the better (but be careful with objects that are small enough to be placed in the mouth). Many games involve a physical component. Physical exercise is another element to consider in selecting a game, but don’t choose all your games based on exercise. 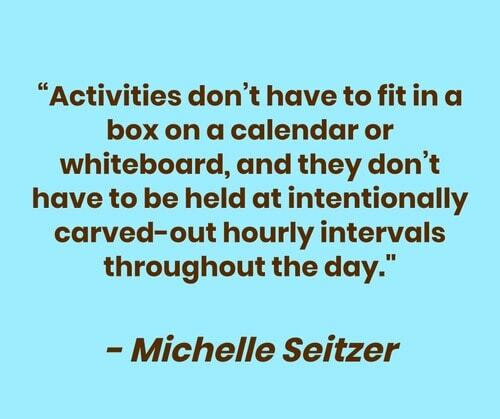 Keep activities simple and brief, and individualized when possible. “Structured group activities very seldom work. 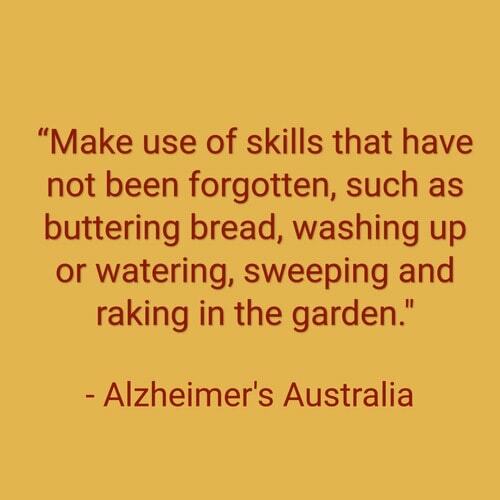 Simple, brief activities offered several times a day are the most effective and beneficial types of activities for Alzheimer's. “Activities such as housework and simple games can help to maintain motor skills. Listening to music is also a very calming and engaging activity. 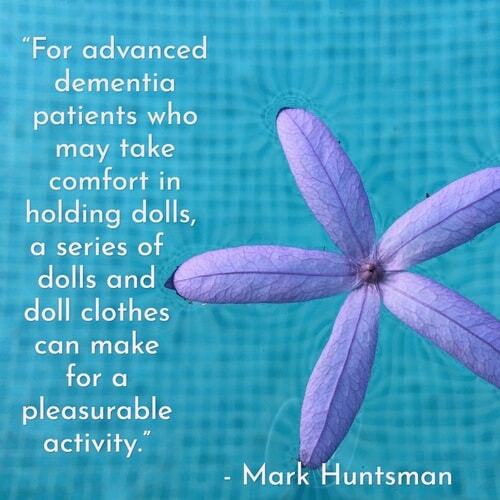 Coordination exercises are beneficial for those with Alzheimer’s disease. “Here we have a broad range of exercises which can be classified into exercises for ‘fine’ and ‘gross’ motor skills. “Fine co-ordination exercises are those which force us to be precise in our movements and which, in general, don’t involve large muscle groups. Examples of fine co-ordination exercises include coloring with colored pencils (trying to stay within the lines), cutting out pictures, sewing and knitting, putting differently-shaped objects inside a box with holes of different sizes, origami, making bracelets or braiding, sorting coins… These activities force our brain to stay attentive and to concentrate on what we’re doing. 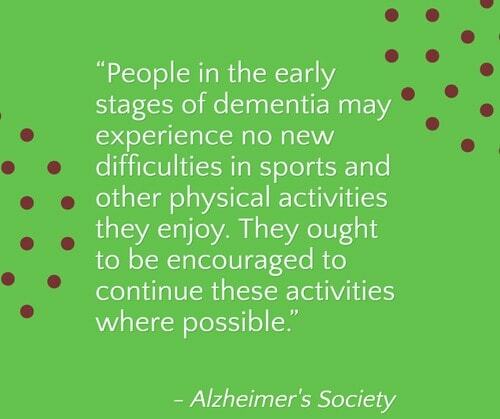 In the early to middle stages of dementia, there are many suitable activities. 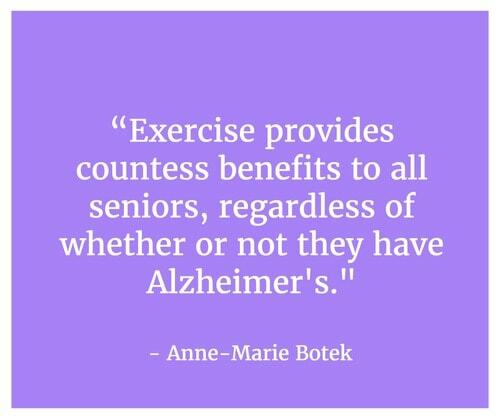 “There are many suitable exercise opportunities that may be beneficial for people in the early or middle-stages of dementia. Local community or sports centers often provide a range of organized exercise and physical activity sessions, such as ball games, seated exercises, tai chi, music and dance, indoor bowls or swimming. You may be able to use a personal budget, in the form of a direct payment from your local authority to pay for these. Some of these activities can be modified and carried out at home. Walking, gardening and housework are also good forms of everyday physical activity. Look into local volunteer opportunities. 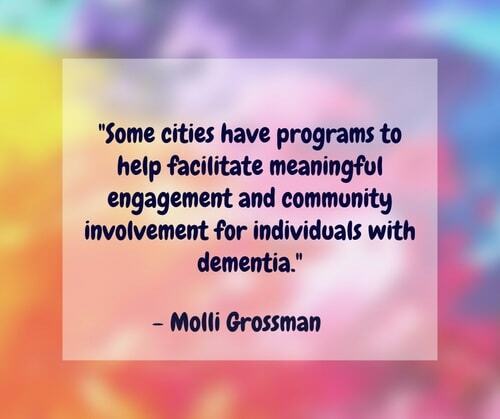 “Some cities have programs to help facilitate meaningful engagement and community involvement for individuals with dementia. For example, Seattle Parks and Recreation supports Dementia Friendly Recreation, which includes the ‘Remember the Hungry’ volunteer program. 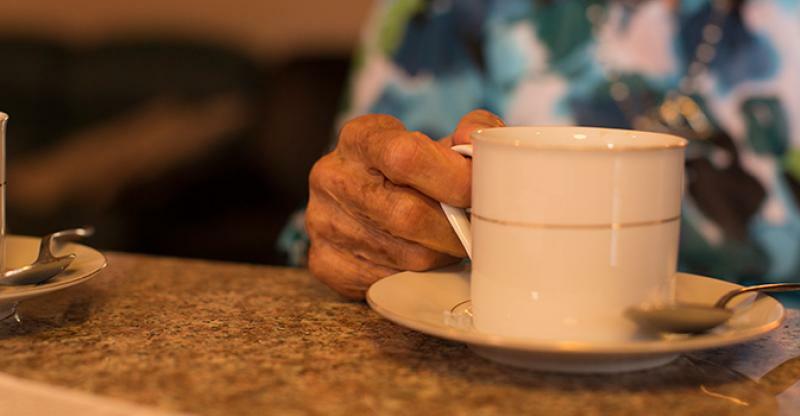 In this program, those living with memory loss are able to give back to the community by helping at local soup kitchens. Sort hardware parts or coins. 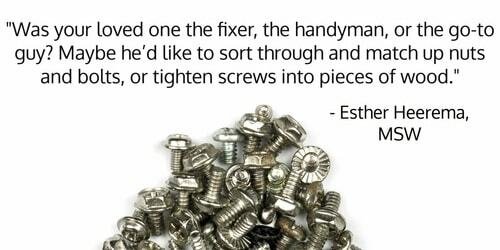 “Another way to enjoy handy activities is to have your seniors sort inexpensive hardware parts like these nuts, washers, or bolts. 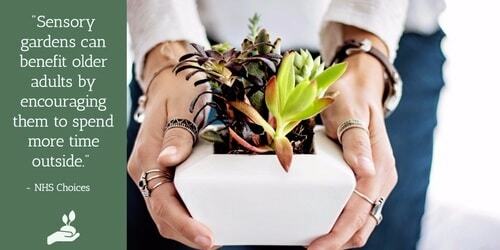 Place familiar objects in a bag and ask the person to guess what’s inside. Choose a colorful bag, something that catches the eye, silk, or any other fabric that feels good to the touch. You don't want to be able to see through the bag. It might have a rope so that you can tie it shut. “Find random objects, such as kitchen utensils, keys, padlock, sun glasses, can of soup, feather, button, pen, various tools, bobbin, spool, yarn, zipper, clothes pin, hole puncher, the list can go on and on. I am aware that you all have a vivid imagination. You can put one object at a time, or more. Bake or build. 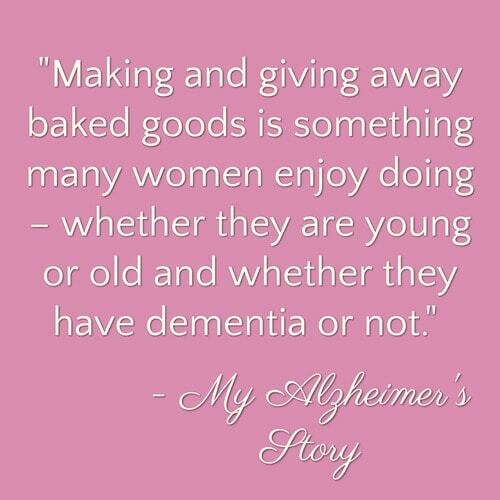 “Making and giving away baked goods is something many women enjoy doing – whether they are young or old and whether they have dementia or not. 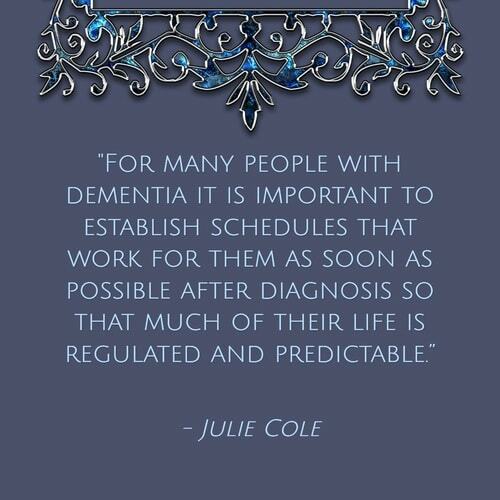 As the diseases progresses people with dementia may need more help, but they still take great pleasure in the process as well as the results. “I find it helpful to get out and measure all the ingredients before we start to mix things together. Putting each ingredient away after it’s added is a good way of tracking what has been done. Plan outings. “Being in touch with the community inspires a great sense of well-being and purpose within all of us, and the best part is you don’t have to go far to find new things to explore. 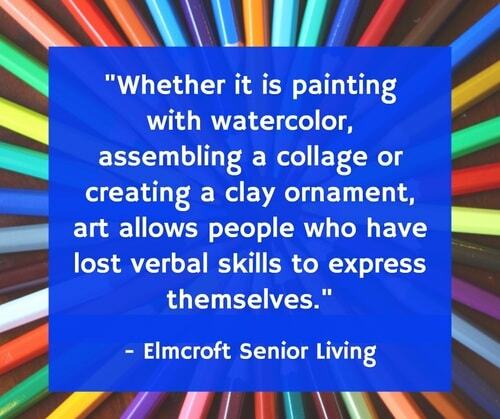 While the ordinary daily routines are great for structure and familiarity, exploring is another way to help your residents and offer self-esteem and a sense of self through discovery. Taking individuals with dementia on trips and outings is very important but can also cause confusion in some due to being in unfamiliar places. Be sure to plan your trips wisely and look for atmospheres that are less likely to cause additional stress and or anxiety. 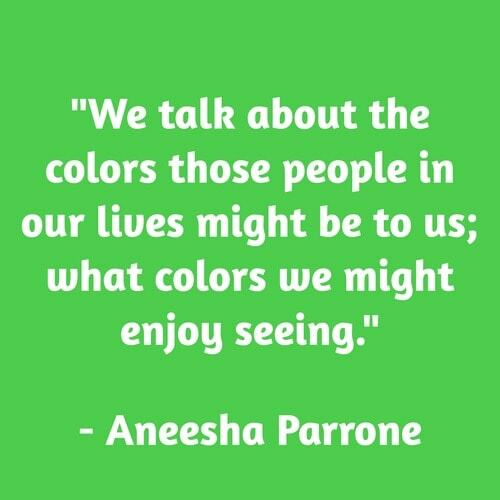 Outings offer a great avenue for reality orientation and help them tap in to what is going on around them. Color pictures or doodle. 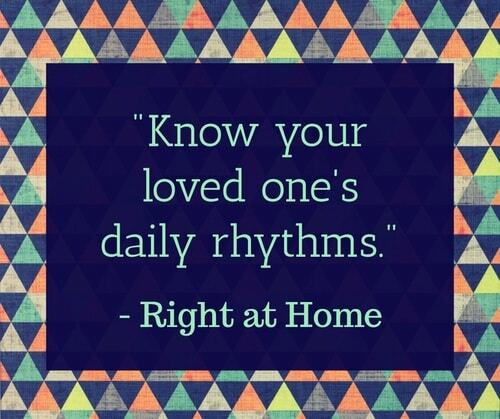 “Who says senior home care has to involve senior activities? Do you remember your coloring books? 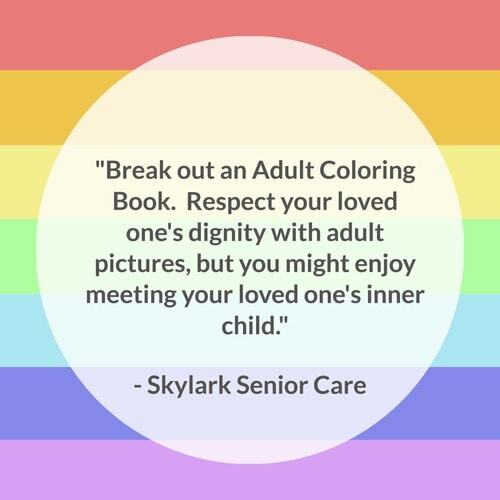 Break out an Adult Coloring Book. 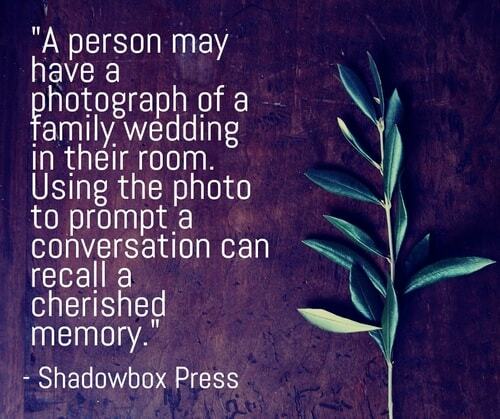 Respect your loved one's dignity with adult pictures, but you might enjoy meeting your loved one's inner child. Try the art of needle felting. “Recently, in the facilities where I visit, residents have enjoyed the art of needle felting. The process is easy, continuous and allows for comfortable, natural exchange of conversation, friendship building. Music and visual cues can promote engagement. 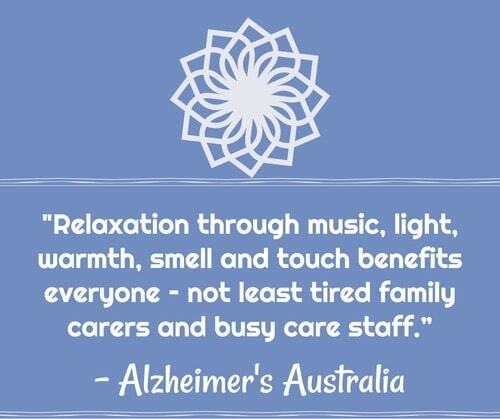 “Music is a large part of religious celebrations and provides an auditory cue for a person with Alzheimer’s disease. Carefully select hymns and songs that reflect their spiritual needs. Vocal and instrumental pieces, the sound of an organ, a piano, or church bells can provide spiritual fulfillment and encourage reminiscing. 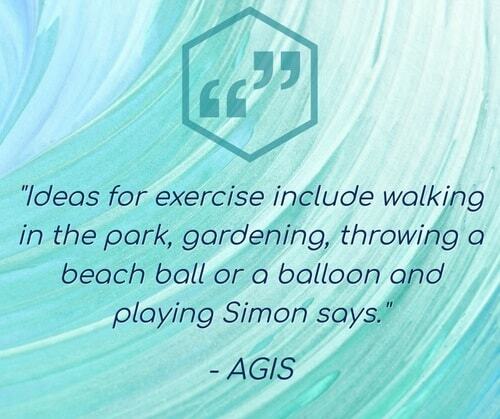 Incorporate life skills activities. 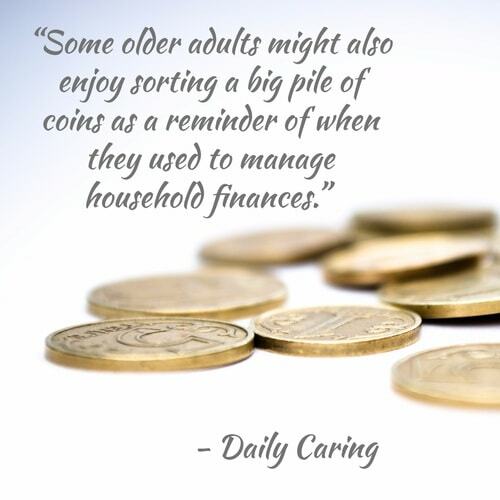 “Life skills ‘stations’ are a more recent development in memory care programs. 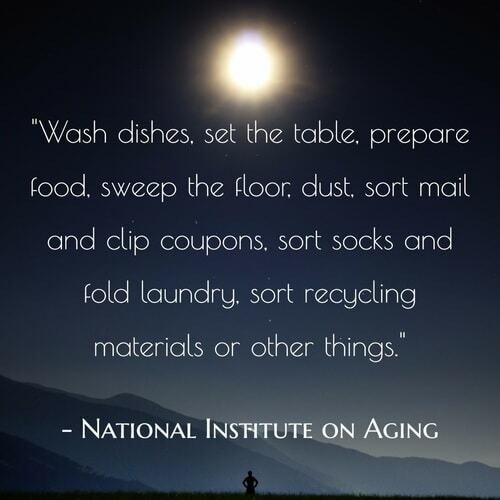 These enable residents to find comfort in practicing daily routines and life skills that were previously part of their everyday lives, such as folding laundry, hobby work, or gardening. Arrange for a visit with a pet. “Much like children, animals can often touch people with Alzheimer’s more deeply than people can. Ed, my life partner who developed Alzheimer’s, typically ignored me completely whenever I took my little Shih Tzu, Peter, to visit him. He focused all of his attention on the dog.